Hailed by the New York Times for his “robust voice, agility and confidence,” Robert McPherson returns to English National Opera for Nadir in Les pêcheurs de perles as well as to the roster of the Metropolitan Opera for its production of Fidelio in the 2016-17 season. Future seasons see further returns to the Metropolitan Opera for performances. 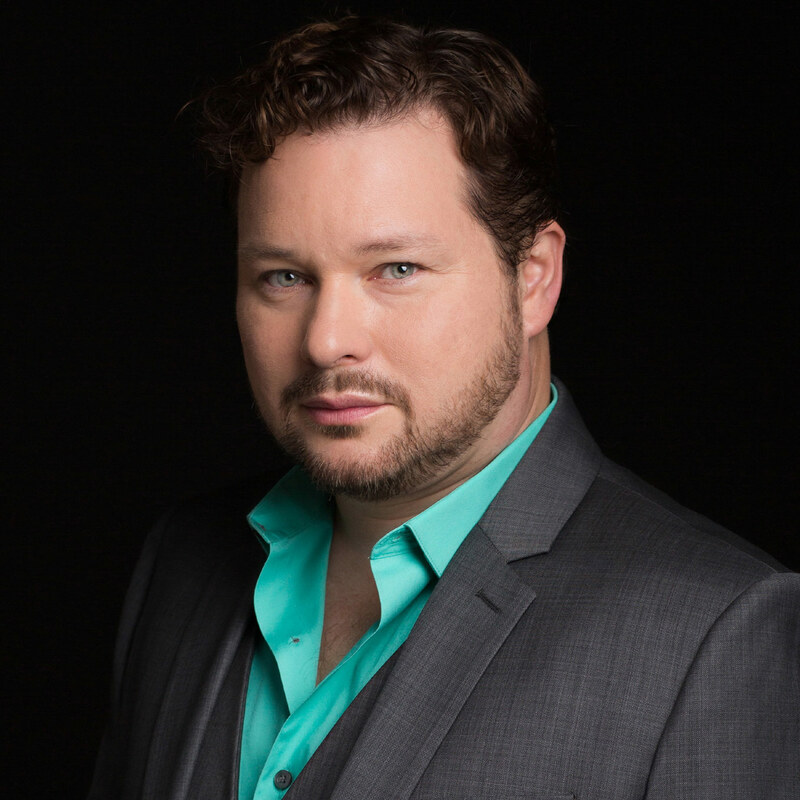 Last season, he returned to Opera Vlaandaren for his first performances of Gernando and Ubaldo in Rossini’s Armida, New Israeli Opera for Nadir in Les pêcheurs de perles, and Utah Opera for Camille in The Merry Widow. He also made his Metropolitan Opera debut as Basilio in Le nozze di Figaro and, in his home state of Washington, sang Nemorino in L’elisir d’amore with Vashon Opera. Hailed for his distinctive artistry and virtuosic technique within the bel canto literature, Mr. McPherson’s performances include Lord Percy in Anna Bolena with Welsh National Opera; Arnold in Guillaume Tell with Polish National Opera; Ramiro in La cenerentola and Lindoro in L’italiana in Algeri with Washington National Opera; Rodrigo in La donna del lago with New York City Opera, Teatro Carlo Felice, Teatro Nacional de São Carlos, Opéra-Théâtre d’Avignon, La Coruña Mozart Festival, and Opera Orchestra of New York; Idreno in Semiramide with Vlaamse Opera and on tour at the Edinburgh Festival; Arbace in Ciro in Babilonia at the Rossini Opera Festival in Pesaro, further performances of Lindoro in L’italiana in Algeri with Opéra de Toulon and Florentine Opera; Tonio in La fille du regiment with New Israeli Opera; Almaviva in Il barbiere di Siviglia with Opéra de Vichy, Caramoor International Music Festival, Utah Opera, Pacific Opera Victoria, and Opera Naples; Jago in Rossini’s Otello with Opera Vlaandaren and Opera Orchestra of New York; Ernesto in Don Pasquale with Utah Opera and Lyric Opera of Kansas City; Edgardo in Lucia di Lammermoor with Opera San Jose; and Nemorino in L’elisir d’amore with Opera Santa Barbara and Greensboro Opera. He has sung both demanding tenor roles in Il viaggio a Reims, joining New Israeli Opera, Opera Vlaandaren, and Stadttheater Bern for Belfiore and Teatro Carlo Felice for Count Liebenskof. In his home state of Washington, he has sung Narciso in Il turco in Italia with Tacoma Opera and Elvino in La sonnambula. He previously joined the Metropolitan Opera roster for its productions of I puritani and Il barbiere di Siviglia. In other repertoire, he made his first appearance with the Lyric Opera of Chicago, singing Duca in Act III of Rigoletto in the company’s annual Stars of Lyric Opera concert conducted by Sir Andrew Davis, at Millennium Park. He garnered critical acclaim as Tamino in Die Zauberflöte with English National Opera, Andres in Wozzeck with the Houston Symphony Orchestra, Peter Quint and the Prologue in The Turn of the Screw with New Israeli Opera, and the Italian Tenor in Der Rosenkavalier with San Francisco Opera. He returned to New Israeli Opera and Opera Vlaandaren for Leopold in La Juive, a role he has also sung at the Mikhailovsky Theater in St. Petersburg and Utah Opera for his first performances of the Duca di Mantua in Rigoletto. He joined Teatro Real for Constantino in Carnicer’s Elena e Constantino (recorded on the Dynamic label), Cleveland Opera for Nadir in Les pêcheurs de perles, Opera San Jose for Tom Rakewell in The Rake’s Progress and Roméo in Roméo et Juliette, Caramoor Festival for Ralph Rackstraw in H.M.S. Pinafore, Spoleto Festival U.S.A. for Hob in the ballad opera, Flora, Los Angeles Opera for Mayor Upfold in Albert Herring, Anchorage Opera as the title role of The Impresario and as Mozart in Rismky-Korsakov’s Mozart and Salieri, Gotham Chamber Opera for Scipione in Il sogno di Scipione, and the Metropolitan Opera roster for its production of Wozzeck and The Merry Widow. He sang Eric in the world premiere of Henderson’s Nosferatu with Opera Idaho and Rimrock Opera (released on Albany Records). He has joined the Seattle Symphony for numerous performances of Handel’s Messiah, Britten’s Serenade for Tenor, Horn, and Strings, Bach’s Magnificat, and the Shepherd in Stravinsky’s Oedipus Rex. He has also sung Schumann’s Das Paradies und die Peri with the Mostly Mozart Festival, Britten’s War Requiem with the New Israeli Opera Orchestra, Stravinsky’s Les noces with the Houston Ballet, Rossini’s Stabat Mater with Tuscaloosa Symphony Orchestra, Handel’s Messiah with the Santa Fe Symphony and Indianapolis Chamber Orchestra, Haydn’s Creation with Tacoma Master Chorale, Handel’s Judas Maccabeus with Orchestra Seattle, Verdi’s Requiem with Yakima Symphony, Orff’s Carmina burana with the Bremerton Symphony, Bach’s Cantata No. 26 and Mozart’s Requiem with the Lake Chelan Bach Festival, Handel’s L’allegro, il penseroso, ed il moderato with the Northwest Chamber Orchestra, and further performances of Britten’s Serenade for Tenor, Horn, and Strings with the Mexico City Philharmonic. He has sung a concert of Rossini, Donizetti, Bellini, Mozart, and Bizet with the Pressburger Symphoniker at the Schloss Esterhazy in Austria, a gala concert of opera excerpts at the Harare International Festival of the Arts in Zimbabwe. He made his national television debut on PBS as the angel Gabriel in Andrew T. Miller’s sacred cantata The Birth Of Christ, recorded in Dublin, Ireland and released by Sony BMG Masterworks, and reprised that role in Rome at the invitation of the Vatican. Also an avid baseball fan, he has sung the National Anthem for his hometown team, the Seattle Mariners, on numerous occasions.